To celebrate International Project Management Day on Thursday 1 November, the Auckland University of Technology launched New Zealand’s first Master of IT Project Management at a networking and lightening talks celebration led by the new programme’s leader Dr Stephen Thorpe, from the School of Engineering, Computer and Mathematical Sciences. Stephen is also a Director of Zenergy and former member of the IAF Board (2007-2009). The 1-year programme begins in Semester 1, 2019 and is designed for those who’ve already had a few years in the IT industry. Students will graduate with the skills to design, implement and manage software development projects throughout their life cycles. Those skills include planning, team facilitation, risk and change management. Along with advanced aspects of IT project management, a core focus of the programme is the Team Facilitation for IT Projects module that explores through reflective practice the experiential facilitation skills and techniques appropriate to information technology projects. Masters students will develop their team leadership skills, cultural capacity and the ability to facilitate a group to meet its purpose. Topics focus on process guidance and the attitudes, personal qualities and presence that distinguish a group facilitator from other leadership and team roles. Coupled with this is a module on Digital Transformation and Change Management that explores theoretical and contemporary thinking on organisational change in information technology and digital transformation projects. Focusing on contemporary approaches to technological organisational change, information technology failures, and the importance of organisational culture. Key aspects include approaches to project communications, multi-stakeholder engagement and assessing the change impact. The vision for those graduating from the programme is for them to have theoretical frameworks and a set of tools in facilitation, stakeholder engagement, change management, and project management to complement their technical understanding and backgrounds in software engineering and business process analysis. Growing student demand, and a strong push by the Auckland University of Technology’s industry partners have led to the creation of the programme and now students will be able to develop and deepen a focused set of complementing skillsets. At the launch celebration, the first of the lightning speakers was Jim Buchan, the co-director of the Software Engineering Research Laboratory at AUT, who challenged the audience’s thinking by introducing the contemporary movement of ‘#no-projects’, an agile philosophy for the creation of software that challenges conventional IT project management theory and approaches. 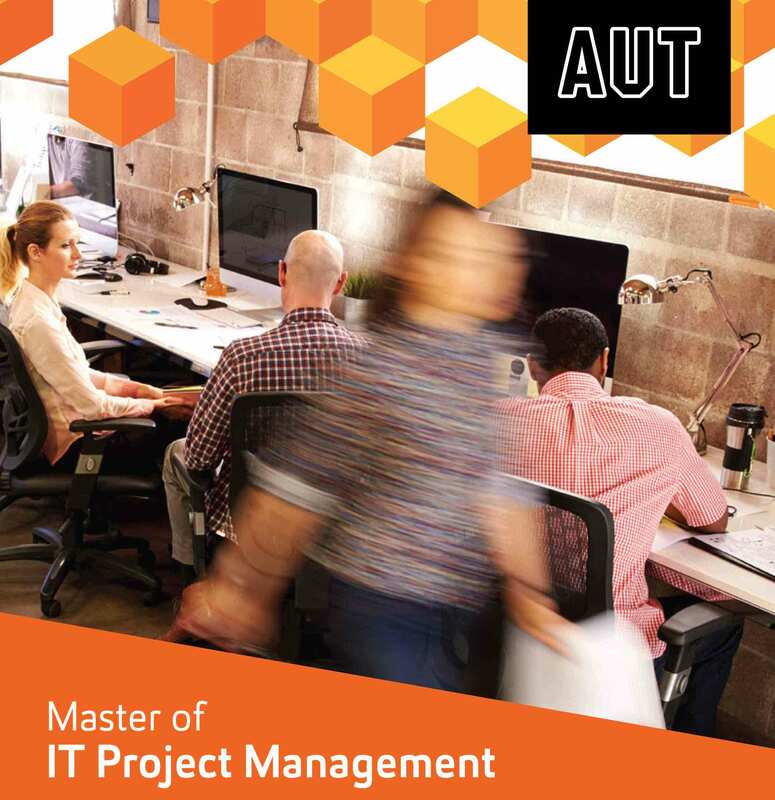 Zenergy Director Stephen Thorpe speaking at the launch of the Master of IT Project Management at AUT. Next to speak was Avanti Finance’s Chief Information Officer and Head of Technology, James Grieve, who has worked in IT project delivery for over 25 years in the electricity, banking and technology sectors. James agreed with many aspects of Jim’s provocative stance, however, he grounded contemporary agile approaches in what he called the first principles of IT project management. These principles focused around truth sharing, risk management and managing the complexity of change. The Dean of Engineering and Head of School, Professor Enrico Haemmerle then spoke to the innovative and complementary nature of the new programme and how it fits within in the range of the school’s postgraduate offerings, such as the Master of Engineering Project Management and the Master of Computer and Information Sciences. Brochure is on slide show and also can be downloaded below. Here is complete the .pdf brochure for you to download, share and learn more.